23 EpisodesProduced by Matthew Felix | Novel • Travel Writing • Short Stories | Adventure, humor, and spirituality. 12 Humor & Travel Writing: Porcelain Travels! 11 Stroke: Suffering & Surviving in “Scrambling Back"
Anne Sigmon had it all: love, career, world travel. Then, at the young age of 48, she also had a stroke. 09 Literary Death Match San Francisco! The LA Times called Literary Death Match “...the most entertaining reading series ever." 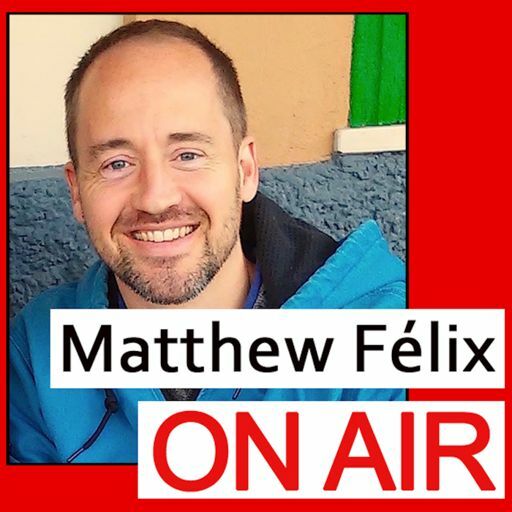 For his first-ever video podcast episode, Matthew's first guest was...himself!